As of today you can save all recipes (in fact any post) as PDF file. 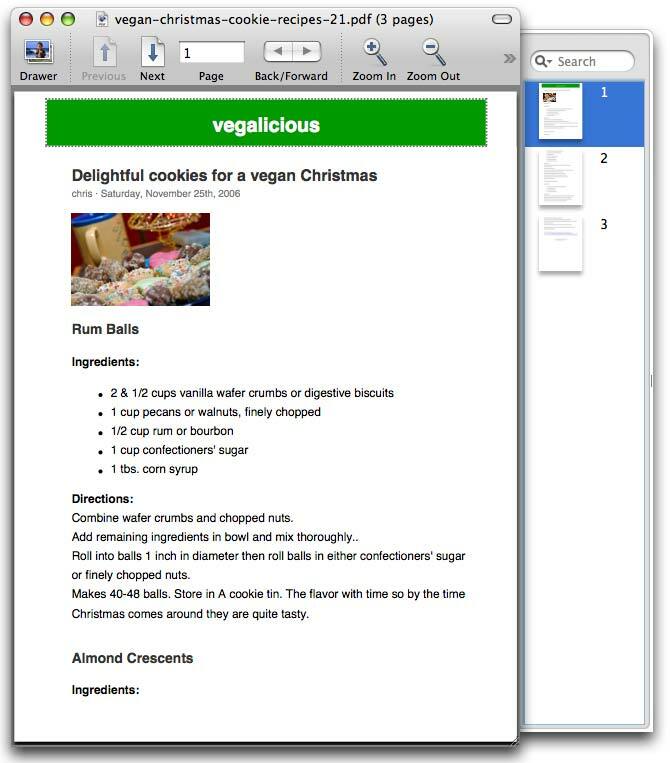 This way you can archive the recipes on your computer and have them in a printer friendly format. I chose larger fonts, so that it will be easier to read when you are preparing one of these recipes in the kitchen. You can find the ‘Save page as PDF’ function on the right side of individual pages. Just click on the PDF icon. The pdf function is powered by the ContuttoPDF plugin for WordPress. Posted by harald on November 26, 2006 in Announcements, Meals.